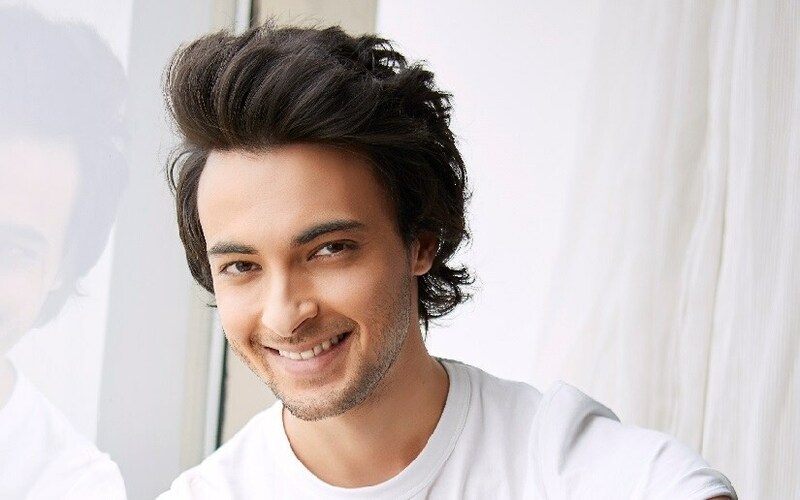 Aayush Sharma is yet another newbie to make his foray into Bollywood — with romantic drama Loveyatri. Only, he has a superstar brother-in-law Salman Khan in his life whose support he finds “comforting”. 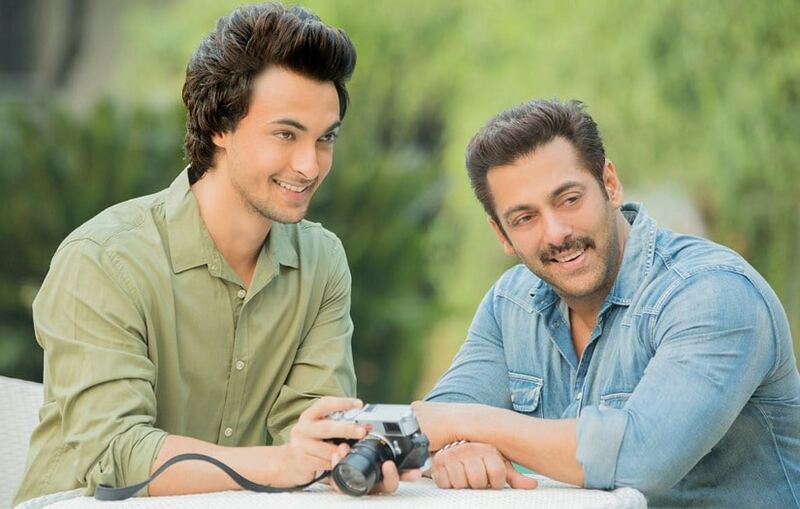 In an exclusive chat with Firstpost, Aayush talks about his challenges, that “extra pressure” of proving himself to Salman and how marriage and fatherhood cannot be a deterrent to his image as a romantic hero. The release of your debut film is round the corner (5 October). What are your thoughts? There are mixed emotions. I have watched the film as a third person and I am very happy. I have been over critical and ruthless towards myself so far and have been telling Abhiraj (Minawala, director) while going through the rushes, ‘Cut this, chop this..’ but I am happy with the final product what we had set out to make. We cannot predict the box office but looking back I don’t want to say that I could have done anything better. Salman bhai watched the film last week and he has given us thumbs up. He is happy with the film and our performances. These days youngsters are also seen starting their career with something off-beat but you chose a simple love story. Didn’t you want to try something new? Every actor has their own calling. At present, I categorise myself as an entertainer and not an actor. My job is to dance, make people dance, laugh and make people laugh…I am still a student of acting and I will take a lot of time to establish myself. When I have a career of say 20 years and have done different genres of films, played different characters, then I can call myself an actor. My idea of doing a commercial love story is simply because I want people to watch my film at an easy space. Yes, these days we have films with strong plot lines which may work or backfire. Through my first few films, I want to reach maximum number of people, maximum number of homes and TV screens. A simple love story is something that won’t harm anybody. I would do off-beat cinema with time. Today, we have actors like Varun (Dhawan) who has now started experimenting, so every actor has his or her own phase. Also, I picked an out-and-out commercial movie because as a young kid, I used to believe that an actor is a guy who wears a leather jacket, has long hair, dances on the streets of Europe…I wanted all of that in my first film. So probably my craving to be the quintessential Bollywood hero is being met with this film. But were you going through other scripts as well? I did go through a few more, but I was still figuring out what kind of movie should be my first – mainstream or off-beat. Most people I met were surprised to see me as a normal, lean guy. They thought that I would be this muscular, would jump on cars and beat people up just because I was from the Salman Khan family. You have said that you’ve always been a non-dancer and here you play a garba teacher. How did that happen? Yes, I have always been a non-dancer and in my younger days, I was quite an introvert. Initially, when I would dance, my wife used to laugh at me. People used to tell me that I was mad to play out and exhibit my weakest side in my very first film. But I was firm. I felt if I don’t take up this challenge, of playing a garba teacher, I will keep brushing it under the carpet while believing that I can’t dance. I felt, in the process of pushing myself, I will learn something. I rehearsed for six months and I give full credit to Vaibhavi Merchant (choreographer). In my first meeting, I told her that I can’t dance and she told me to remove that thought from my head. With Salman launching you, is there an extra pressure to prove yourself to the superstar? I have always believed that work is of paramount importance. You may be anyone’s brother or relative… I am only his brother-in-law but there are sons and kids of many stars, and even they don’t get the kind of debut that I have got. But it is more about the acceptance from people. There were lot of conversation and conjectures about launching your own relative, then there was this nepotism debate the moment Loveyatri was announced, rather than answering people I want to show that I deserve to be here. Irrespective of who I am, I want to prove that I deserve to be an actor. That is the only pressure I have, that after the film is out, Salman should feel that I have the potential and I that have proved him right. Till date, he’s never praised me because he believes the moment he does, I’ll become complacent. I’m waiting for the day when he tells me that you have made me proud. You have assisted on four films of Salman — Bajrangi Bhaijaan, Prem Ratan Dhan Payo, Sultan and Tubelight with directors Sooraj Barjatya, Kabir Khan and Ali Abbas Zafar. Did that help you in your acting craft? Yes, absolutely. When young aspiring actors ask me what is the right path for a debutant and I tell them to leave the workshops and instead go on sets. Assisting gives you a lot of confidence, the practicality of filmmaking and the understanding of sets. Acting workshop teaches you how to act but on a set you have to act it out 40 to 50 times with different angles, different takes, you have to be very flexible, more so, if you are shooting outdoors. So many people are observing your craft and you have to perform without getting intimidated by the crowd or the camera. While assisting, I used observe Salman Bhai and all the actors; it has been a great learning experience. This film was an easy ride for me because after working on such hectic schedules (when he was an assistant director), when the film (Loveyatri) got completed in about two months, I was like, ‘That’s it, now what do I do?’ Now that the promotions are also getting over and I’m wondering, 'What do I do?' (laughs) I also wonder what will I do on a holiday? I want to be up and about every day. Film's director Abhiraj is a protege at Yash Raj Films having worked there for about 10 years and having assisted Yash Chopra as well. 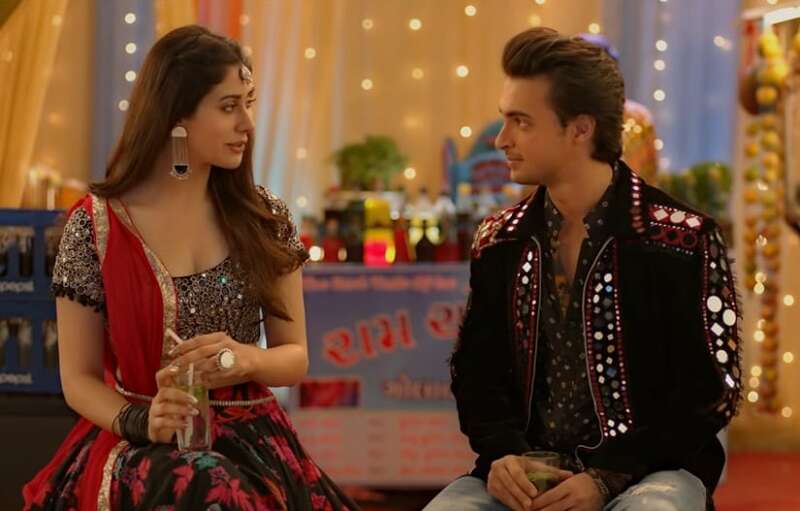 You think Loveyatri has got the touch of that film school? Lot of people who have seen the film feel it is not an SKF (Salman Khan Production), of course, there is that SKF masala and entertainment but the way it is shot, the way it is looking, is very different. I keep saying that this is SKF 2.0. Abhiraj has got a very good expertise in camera. Every ounce of praise that I get is all thanks to him. He was very clear that he was making a commercial film and not a Christopher Nolan kind of film. People should dance, laugh and cry with you, he would say. He was very certain from the word go and would be very relaxed on sets. There were days when I would want to bring certain nuances to my character and he would coolly say, ‘Listen, you are playing the hero’. Lastly, you’re a married newcomer. Do you ever fear that it will harm your image as a romantic hero? Marriage has proved lucky for many superstars. Aamir Bhai was married when he was launched. He was lucky. Shah Rukh Bhai was married when he entered the industry and it turned out lucky for him as well. If marriage has worked for many, it will work for me as well. When Arpita was carrying Ahil, I had a conversation with Sohail bhai. I wondered whether people would accept me, and he said, ‘The only superstar in this country who’s not married is Salman Khan. Everyone else is married. So marriage has nothing to do with what you’re doing. The only thing that matters is hard work and whether people like what you’re doing in front of the camera’. Also, I am who I am because of my family. They are my support system; they are my backbone. My two-and-a-half year old son motivates me to perform better. These small things don’t matter whether you are married or not. People have evolved and they are more interested in seeing your work. Whenever I step out, never once I have got any reaction indicating that I was married. More so, people are loving the fact that I have a wife who is supporting me day and night. This film wouldn’t have happened without her.